I have created a little fashion series after previously talking about how I wanted to do more fashion posts. 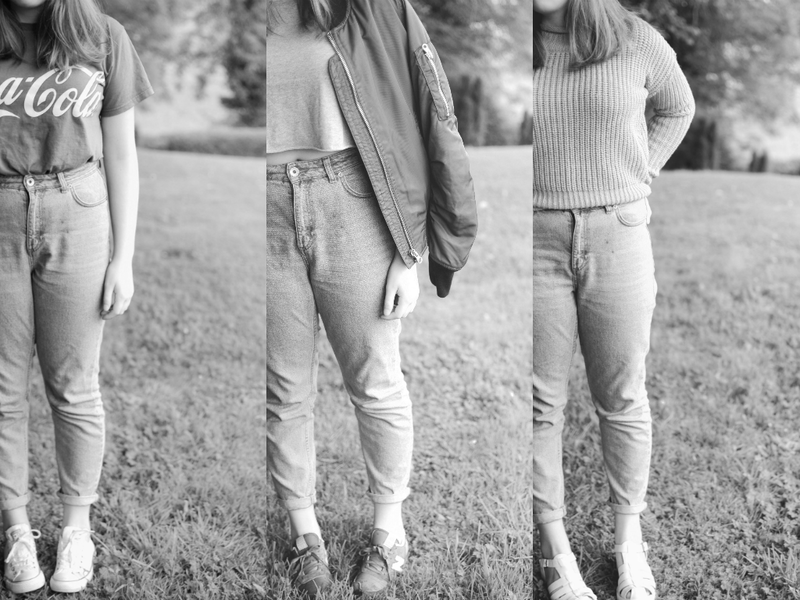 I styled three outfits that I will be sharing in the next few weeks which all include the Topshop MOM jeans. I love these jeans they are so comfy and can be dressed up or down and suit a lot of clothing items. The first outfit is very casual and very 90's looking pairing it with a coca cola t -shirt and your classic pair of converse trainers. When I first bought MOM jeans I didn't know how to style them and felt very weird wearing them as I had lived in skinny jeans for years and the switch over was a bit strange but now I can't get enough of them. That is why I have created this little series to make it a bit easier and maybe inspiration on what to pair with your MOM jeans. Do you have MOM jeans ? How do you style them ? 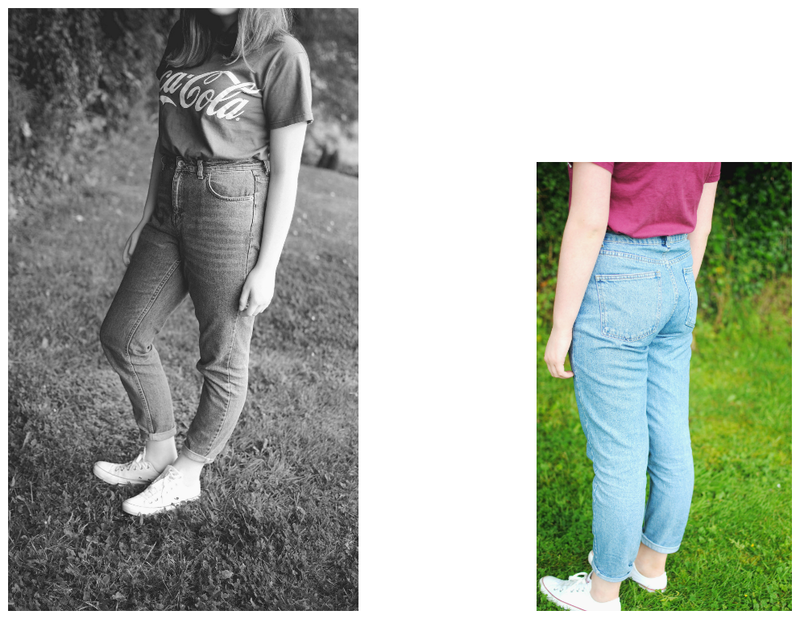 I love that Coca-Cola top with those jeans! 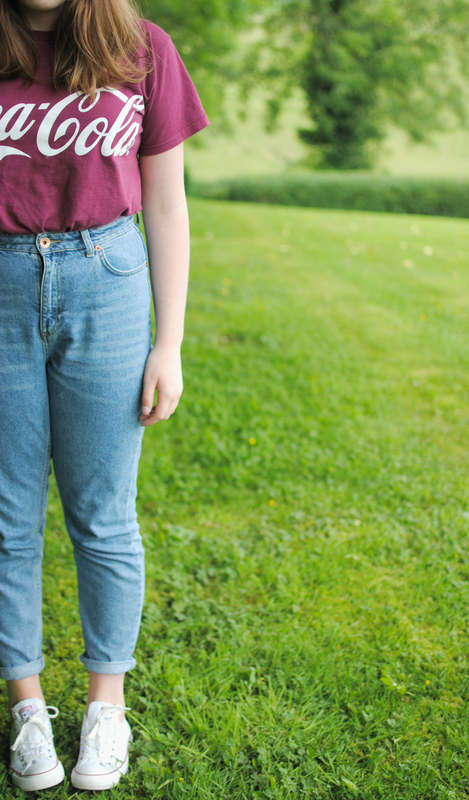 I love MOM jeans and have so many tops that would go with them, but I still dont own any! mom jeans are so laid back. i don't own a pair yet but i'm definitely in the market. love the way you styled yours! I love my mom jeans! I think you and I have the exact same pair. I like wearing crop tops with mine, but you could actually wear any type of top! I'm loving these jeans! I've been looking for some mom jeans for ages!! !